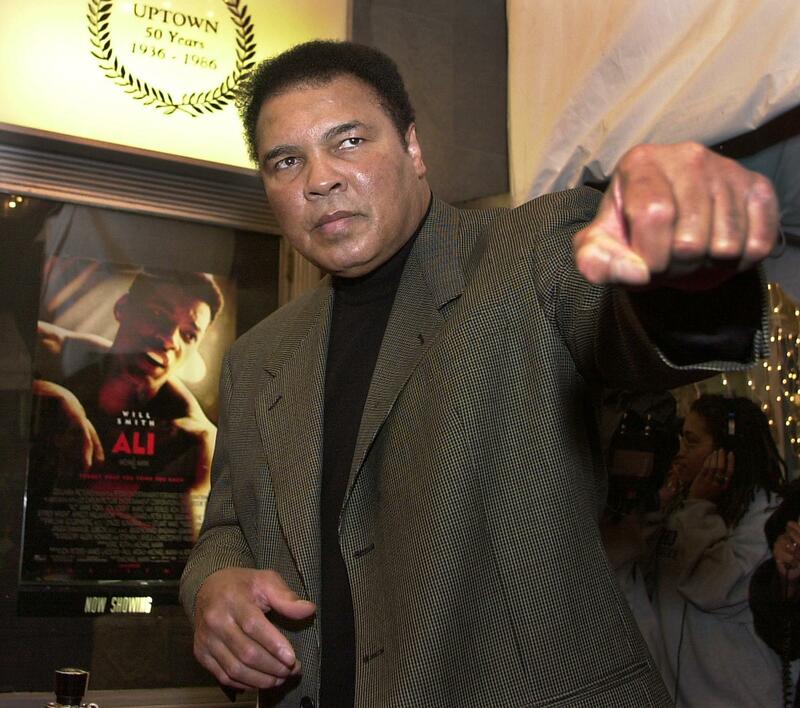 It goes without saying that Muhammad Ali's impact transcended the world of sports. From his effective and unforgettable speeches to his activism, the boxing champion's influence knew no bounds. Even former South African president Nelson Mandela was a fan. Ali, who died at age 74 on Friday, was an inspiration to the civil rights leader and in many ways, and the iconic photo that captures Mandela and Ali together highlights his adoration. Muhammad Ali was not just my hero, but the hero of millions of young, black South Africans because he brought dignity to boxing. When I met Ali for the first time in 1990 I was extremely apprehensive. I wanted to say so many things to him. He was an inspiration to me, even in prison, because I thought of his courage and his commitment to his sport. Mandela was an avid boxing fan himself, so it makes sense that he would be a fan of "The Greatest," but it appears that Mandela's admiration for Ali extended beyond that. He represented so much more than just boxing — he represented resistance and the possibility of change. See the incredible photo of the two influential figures below. He inspired others to reach for what appeared to be impossible and moved them to break through the barriers that held them hostage mentally, physically, socially and economically. What I will remember most about Mr. Mandela is that he was a man whose heart, soul and spirit could not be contained or restrained by racial and economic injustices, metal bars or the burden of hate and revenge. You could say the same about Ali — whose life had a similar kind of impact. He couldn't be contained by anything either. Not boxing, not the physical hurdles that go hand in hand with the sport, and certainly not racial and economic injustices. Ali, like Mandela, refused to stand for anything other than what he believed to be right. Never unwavering, and never afraid. When searching for profundity in a photo like this — and in the lives of Ali and Mandela — we have to remember the importance of that.